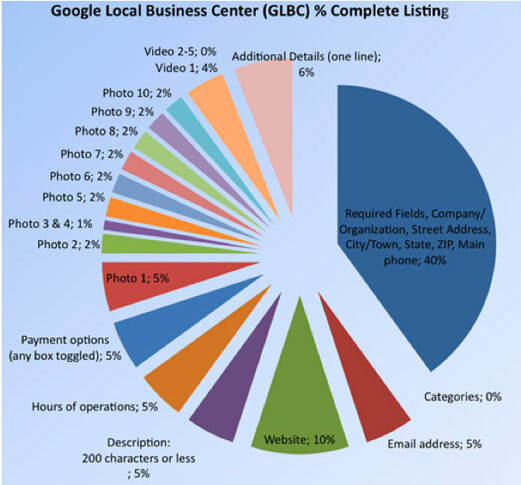 Google Maps optimization is a cost-effective way to put your business ahead of the pack in local search. 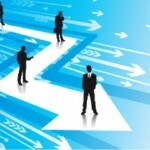 If youʼre a small business owner, looking to gain an edge online so that you can dominate your local market by driving eager, qualiﬁed prospects to your website and convert them into customers for your business… then this simple steps outlined in these blog posts will be a very valuable resource to help you get started. Enjoy it, and I promise that if you follow these directions…. you will easily get an advantage over your competition in the map and directory listings. The cool part is…. itʼs easy, almost entirely free, and you donʼt even need a website to do this! It’s taken me a long time to ﬁgure out all of the things that we teach on this blog. Iʼve spent years on this stuff. And do me a favor. Email me with your ideas, comments, and complaints. I want to know what you think. You can email me at danny@lavalinkonline.com. So, without any further ado…. letʼs dig in! Perform a local search for a listing. Type the area in the description. Here you will see a form with all of your business details. It is VERY important to ﬁll each and every ﬁeld if you want to be found by prospects searching for your business on Googleʼs map system. 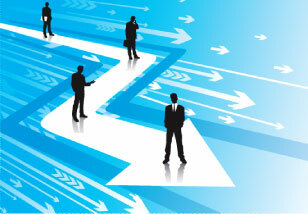 Below we will discuss the best options for ﬁlling out each ﬁeld of your Places listing. Company/Organization: Use the name thatʼs listed in the Local Phone Directory – Do not use keywords unless they are in the ofﬁcial business name. To put it another way, you want to use the EXACT name and telephone number that you would get if you were to call Directory Assistance. Google places very high relevance on “Validators,” authority sources like the local phone company. Makes sense, right? Google is taking pains to ensure that people arenʼt taking advantage of their Places system for SEO purposes – they are rejecting and placing under “review” anything that even looks like it might be milking the system. Once youʼve been ﬂagged for review and placed in “Google Places Purgatory,” thereʼs virtually NO chance of getting out. Street Address & Main Phone: Use whatʼs listed in the Local Phone Directory. DONʼT list a cell phone or any other number if itʼs not the same as in the Local Phone Directory – this can hurt your ranking. E-mail Address: An e-mail address “at” the website URL is best option. Website: Google LOVES to see keyphrase speciﬁc domain names – and theyʼre placing a higher value on this than they did before. Also, make sure that your website has the company name, address, and phone number, exactly as it appears on your Places listing on every page of your website. These two elements are important and should not be overlooked as they will cause your Places listing to rank higher. Categories: In the categories area, the best option is to write words and short phrases that describe your business, products, and services. You DO want to place keywords in the category ﬁelds, but these should be written naturally, for a human to read. 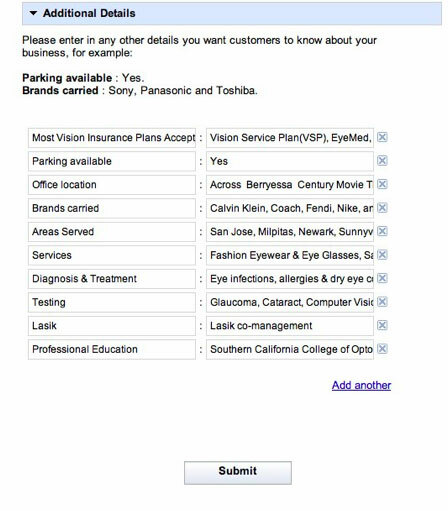 Do NOT use location names as categories or part of categories like “San Francisco Dentists.” Do NOT use brand names. Order is important – use your most relevant keyphrases near the top. Take advantage of the categories section by placing all the keyphrases that could possibly apply – this gives you multiple opportunities to rank for. Think this over before you pick your keyphrases. For example, if youʼre an attorney – you could use categories like “DUI Attorney,” “Bankruptcy Attorney,” “Patent Attorney” and/or “Divorce Attorney.” Try to use category names that are both broad and speciﬁc about the services you offer. Use plurals, if applicable (example: “Mobile Phones” instead of “Mobile Phone”), and capitalise the ﬁrst letter of every word. Service Areas and Location Settings: Our research has shown that weʼre getting better rankings when choosing “Yes, this business serves customers at their locations” and itʼs recommended that you choose that option even if your business doesnʼt go to customerʼs locations. For the next option, select “List of areas served” instead of “Distance from one location.” This allows you to more precisely target your geo-area, and you can add multiple towns and ZIP codes in the “List of areas served” ﬁeld. If you select the ﬁrst option, youʼll be including towns and areas that arenʼt really relevant to your business because your geo-targeted area will show as a several mile-long circumference from the location you pick. Not nearly as efﬁcient. 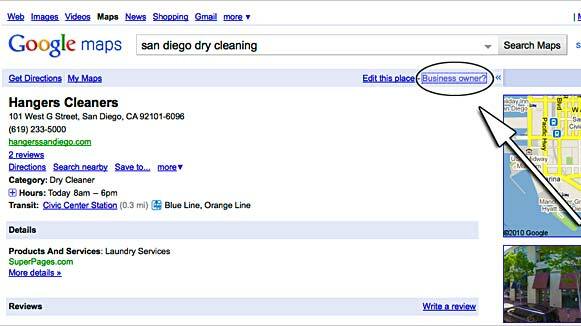 Google DOES pay attention to the areas you choose when determining where to place your listing. Hours of Operation / Payment Options: This is pretty straight-forward. Fill in everything. Donʼt leave anything blank. Google rewards businesses that provide all possible information. Photos: Photos are vital to a Places listing, but it presents a unique opportunity to advertise your business. Take advantage of the photo section by applying good marketing principles. Think of your images as mini-ad. Simply including a headshot of a dentist or a doctor wonʼt get as many clicks as a default picture with a coupon. People donʼt care what you look like – unless you look like Miranda Kerr – theyʼre searching for you because theyʼre looking to purchase your services. Make it easy for them to choose you. Placing image ads in the photo section will get you more conversions than a photo of your storefront will. The very ﬁrst image that you add becomes your “proﬁle” image – if youʼre the one standing out with a discount, people are more likely to click yours. Videos: Google allows you to upload up to ﬁve videos from YouTube. Since Google owns YouTube, if youʼre already logged in to Google you should be logged into your YouTube account as well. If not, you can create one in about three minutes. Not sure how to make a video quickly? One great option is Animoto – www.animoto.com where you can upload your images, add text, and it automatically adds animation and music for you. For $30 a year, itʼs a nice service. Alternatively, if you have Keynote or PowerPoint, you can create a simple slideshow video with music and a voiceover, record it and make it a video. Total cost to produce = $0. Whatever option you choose, you should be able to put together a video in less than a half an hour. A good thing to do is add imagery of your coupon or offer somewhere in your video, because your given the option to choose a picture for your video thumbnail. So as you can see, you will want to include things like Hours of operation, payment options, 10 photos, and a video. It all adds up, big time! Having 10 photos, for instance, is 20% of your search ranking!! Unsure about the video? You can make a simple video (containing your sales pitch) out of basic 4-slide PowerPoint presentation, upload it to YouTube, then include the link. NOTE: Once you are completely ﬁnished, Google will send a veriﬁcation letter (or call you, if your listing is brand new) to your address, and give you a PIN to complete the veriﬁcation. In some cases, it may take Google several weeks to verify your listing. Once youʼve veriﬁed your listing and followed the next few steps in this guide, you should expect your Places listing to start showing in local searches over the course of the next few weeks. With Google, it can vary widely. Also – check out Part 2 of this tutorial where we reveal two cool, easy, automated services that will register you not only in all of the major online business directories in mere minutes, but also in over 140 online and mobile directories, giving you an instant advantage over the competition! And please… let me know what you think by leaving your comments below.